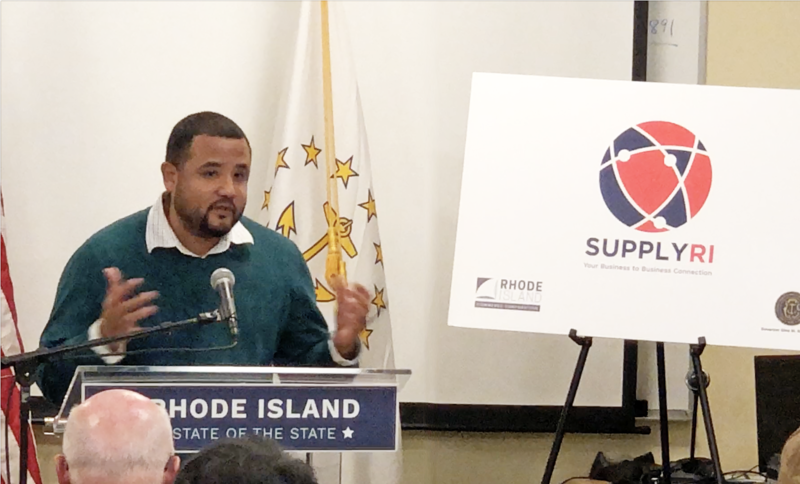 PROVIDENCE, RI – On January 23rd Governor Gina Raimondo and Commerce Secretary Stefan Pryor unveiled the Supply RI program, a new statewide initiative to connect local suppliers with Rhode Island businesses. “Nine institutions have already stepped up and said, ’we’re in,” Governor Raimondo added. The early adopters are Amica Mutual Insurance, Blue Cross & Blue Shield of Rhode Island, Brown University, Delta Dental, Gilbane, Infosys, Lifespan, Rhode Island School of Design, and Roger Williams University. All Rhode Island based organizations who are looking to connect with local suppliers like Heroica Construction and other vendors of unique supplies and services. “We aim to boost local suppliers and create local jobs,” said Commerce Secretary Stefan Pryor about the #SupplyRI initiative. Supply RI will make it easier for the state’s biggest employers and institutions to buy from and hire local companies and contractors. CEOs and Rhode Island business leaders can learn more about the program at the official Supply Rhode Island website.